"What enables the wise sovereign and the good general to strike and conquer, and achieve things beyond the reach of ordinary men, is foreknowledge." In modern naval warfare the "foreknowledge" that Sun Tsu spoke of (in his era this was largely gleaned by spies), which allows the commander to anticipate and preempt an adversary's actions, comes from a range of sources. It may come from intelligence gathered by satellites, submarines, the passive electronic warfare equipment of his own warships and from radar surveillance aircraft. This piece will examine the latter in the context of the Royal Navy's new Queen Elizabeth class aircraft carriers, endeavouring to provide some clarity on the matter. I apologise in advance, but for the benefit of the layman the basic terminology of this field bears explanation before I can launch into some analysis of the specific options for the UK. Presently the radar surveillance aircraft I referred to at the start (commonly called Airborne Early Warning or "AEW" aircraft) encompass a spectrum of platforms and radar systems. Broadly speaking the platforms are either Rotary wing (helicopters) or Fixed wing (traditional aircraft). Radar systems can be broken down into a myriad of subcategories, but the key divisions are between mechanically and electronically scanned systems. The latter are usually abbreviated to AESA or PESA, shortened forms of Active or Passive Electonically Scanned Array, which are fundamentally similar types of system in terms of their capabilities, if not resilience to damage. Electronically scanned radars use phase shifting to "steer" the radar beam, or beams, onto the target (and can do so at incredible speed) whereas mechanically scanned systems are steered by moving the radar emitter itself. 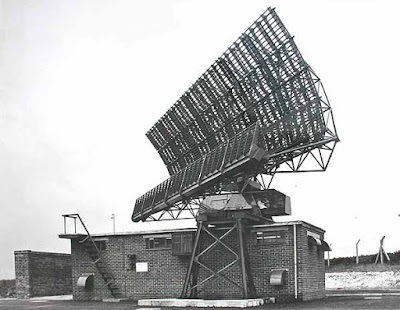 The popular image of a radar system, a big rotating system that looks a bit like an old bedstead, is an example of a mechanically scanned radar. "Doppler radars" also use the Doppler effect to gain an additional piece of information about a contact: its velocity. "Synthetic aperture radars" collate information over time (and space, as they're fixed to a moving aircraft in our case) in order to build up a radar "picture" of the environment. As a general rule, the higher up a radar is above the surfave of the earth, the further it can potentially "see". The platform and the radar are tied together by a Mission System, which converts radar information into useful data for the operator. Datalinks then allow the operator to share that information with other units, such as ships and aircraft, in the vicinity. An AEW aircraft is a combination of these three fundamental components: platform, radar and mission system and as we shall see, not everything is as clear cut as it may superficially seem. 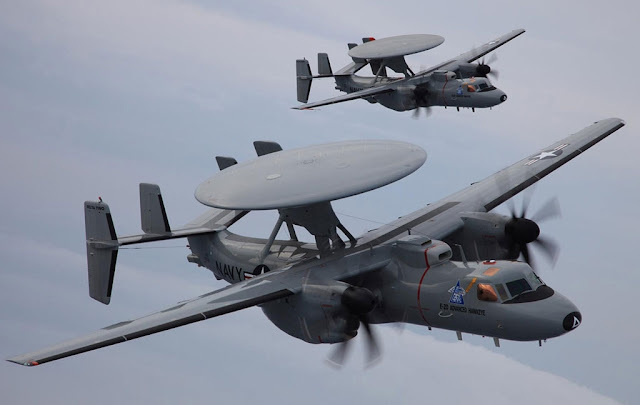 In the choice of an AEW solution for the UK's new carriers two aircraft loom large in the public's perception: the Northropp Grumman E-2D Advanced Hawkeye and the Augusta Westland (Now Leonardo) Merlin Crowsnest. The latter having been selected to replace the Sea King ASaC.7 "Baggers" which have been in service in various forms since the end of the 1982 Falklands War. The contention is that, because of a slew of factors, Crowsnest constitutes a vastly inferior package to Hawkeye and that the latter was a realistic option for the UK. From the outset I will state unequivocally that Hawkeye is both a superior system and, for a range of reasons, not a necessary or suitable component to meet the needs of the UK carrier strike group. E-2 Hawkeye is a superb machine. The first iterations of the design were introduced to the US Navy in the 1960s and through a series of progressive upgrades, modifications and new models the core aircraft has endured for over 50 years. It is a mature and excellent design and the latest model, the E-2D Advanced Hawkeye is the best carrier borne AEW solution out there. It combines an impressive fixed wing platform, with a pressurised crew compartment (allowing it to fly high, almost 35,000ft, with a mission altitude of 25,000ft), six hours endurance and the ability to refuel in the air. It is also a large, heavy aircraft, over 43,000lb in its combat configuration, requiring steam or electromagnetic catapults and arrestor gear to launch and recover it. Its AN/APY-9 AESA radar is both mechanically and electronically scanned, i.e. the disc-like radome rotates and the radar itself can electronically shift the direction of the beam at the same time. Officially the system can detect contacts "beyond 350 miles", although its true capabilities are likely greater (and, rightfully, classified). It is able to detect small objects, such as missiles or "stealth" aircraft, over cluttered land and littoral environments and provides continuous 360° coverage. It is without a doubt the best radar system mounted to a carrier-borne aircraft presently in service. Finally, the mission system and datalinks are, as is to be expected, first-class. Its open architecture mission computer is state of the art, combining a range of inputs from the radar and onboard electronic support measures (other means of detecting an aircraft, surface ship or land based contact) into the picture displayed to the three operator terminals in the back of the aircraft. The aircraft's datalinks include the older Link 16 system, used widely throughout NATO. In future they will fit the broad-band Tactical Network Targetting Technology (TNTT) system: massively increasing the data that can be shared with surface ships, enabling them to target contacts beyond the range of their own sensors. This is part of the Naval Integrated Fire Control-Counter Air system or NIFC-CA. 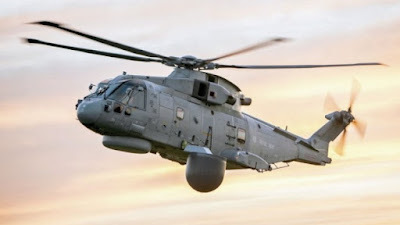 Crowsnest is the latest evolutionary step in the development of British helicopter-borne AEW, building on decades of experience operating the Sea King Airborne Surveillance and Control (ASaC) helicopter. Crowsnest essentially mates an upgraded version of the proven Searchwater 2000 mechanically scanned pulse doppler radar to the Merlin Mk.2 helicopter. The Merlin Mk.2 itself remains an impressive machine, designed initially for anti-submarine warfare. It's origins mean that the aircraft has a highly competitive endurance, even when compared with E-2D, of five hours. While presently not fitted Merlin also has the capacity to fit a refuelling probe, allowing it to extend its time on-station. Although it is important to note that the UK possesses no carrier-capable refuelling aircraft. The only real STOVL option being the V-22 Osprey with the "VARS" tanker kit. It has a service ceiling of around 15,000ft, although its normal operational height would typically be below that. Compared with the E-2D it's a relatively small and light aircraft, between 10 and 14,000lb in its combat configuration. It requires nothing more than a flat deck and hangar of the appropriate size to operate from, meaning it can potentially embark on anything from a Queen Elizabeth carrier to a Type 23 frigate; which makes it a highly versatile AEW platform. The Radar system fitted to Merlin Crowsnest will be an upgraded version of the Searchwater 2000, a mechanically scanned pulse Doppler system. Although it lacks some of the functionality of an AESA system like AN/APY-9, Searchwater 2000 is renowned for its high resolution and ability to detect small objects in cluttered land and sea environments. Its GMTI ground targeting mode has also proved highly useful, as its record in Afghanistan strongly bears out. This is to be expected, as the radar itself can be used to detect small watercraft and submarine periscopes against the background clutter of a choppy sea. Although the range is not available in the public domain it can be reasonably estimated to be in the range of 100-150miles. Crowsnest uses the Thales Cerberus mission system, which provides a broad range of C4I (Command, Control, Consultation, Computers, Intelligence) facilities, can track multiple air, sea and land contacts in real-time. The aircraft uses the datalinks commonly found throughout NATO, Link 11, Link 16 and Link 22, to disseminate information to other platforms such as surface ships and aircraft. While these aren't designed to provide the same level of broad-band information capacity as TNTT will for E-2D they are perfectly adequate for communication between the aircraft and the platforms it will support. Limited over-the-horizon targeting can be facilitated using the aircraft's datalinks, although it has nowhere near the capability for mass sharing of targetting data facilitated by the systematised approach of the US Navy with NIFC-CA. From what's been laid out so far it may seem that the choice is clear, the more capable platform is obviously the better choice. If only it were so simple. It bears stating from the start that AEW aircraft do not exist in a vacuum, but as part of a network of capabilities and within a country's overall force structure. Both solutions offer advantages and disadvantages. 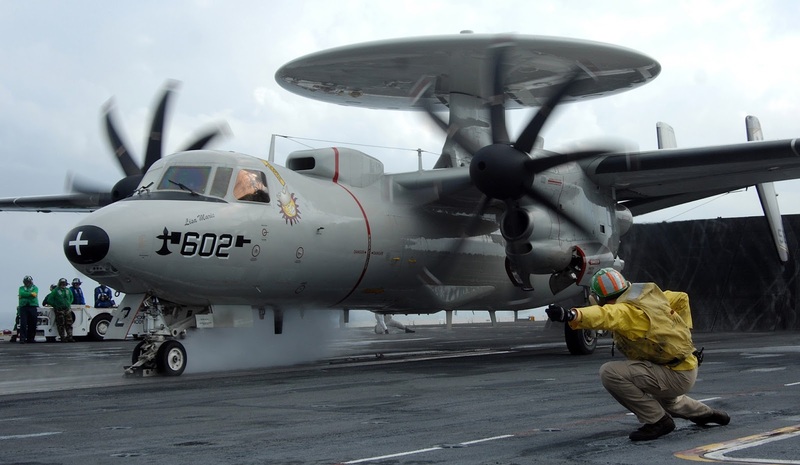 E-2D is a fantastically capable carrier AEW aircraft, but it is large and requires much more complex and manpower intensive support from the carrier (in the form of launching and recovery gear as well as large ship-side maintenance teams). The aircraft itself is also blisteringly expensive to procure, at £190m each in 2016/17, whereas the Crowsnest programme in its totality cost £269m for ten AEW kits to fit to the Royal Navy's Merlin Mk.2s. As the figure for Crowsnest only includes the kits and upgrades, and not the aircraft (~£21m) the cost to procure an AEW Merlin comes in at around £50m. Through-life operating costs, which make up the bulk of the expense of operating an aircraft, are also vastly greater for E-2D. -Bringing into service and operating a carrier with catapults and arrestor gear for the first time in almost 40 years. -Generating a sustainable training pipeline for a tiny number of UK E-2D pilots. -Keeping said pilots qualified for catapult takeoffs and arrested landings. -Bringing into service a whole new aircraft type with unique logistical needs for spare parts. -Maintaining high enough aircraft availability from a small fleet to provide useable and useful embarked aircraft at short notice. -Maintaining that small fleet over the long-term, given the additional stresses on the airframes from catapult takeoffs and arrested landings as well as eventual replacements for worn out aircraft. -Providing enough "spare" aircraft so that mechanical problems or accident do not cripple the force's ability to generate aircraft for operations. by E-2D wears out aircraft quicker. None of these problems are easy to solve and none of the solutions come cheap. Procuring and maintaining an operationally useful number of E-2Ds, without putting unbearable strain on the Navy's budget (or the RAF's, for that matter), would almost certainly have serious knock-on effects to other programmes. The only other country which operates E-2 from the deck of a carrier is France. However, what France delivers with the Charles De Gaulle is a part-time capability. Extended periods where the ship is unavailable through maintenance, or simply doesn't have its one or two Hawkeyes embarked, is likely what gives the squadron the slack to be sustainable at all with its tiny fleet of 3 aircraft. If the UK were to replicate such a force structure the end result would be the same, a brittle part-time capability that's good when you've got it but lacks any real depth for sustained operations. Indeed the US Navy's four aircraft E-2 detatchments were unable to keep an aircraft aloft indefinitely. In order to achieve this they're now moving to embarking squadrons of five E-2Ds on their carriers. In this context it is clear that E-2D's capabilities come at a serious cost, which would inevitably fall on other areas of defence. In comparison the cost of Crowsnest is much more manageable, using an aircraft that is already mature and in service with the RN. It is an evolutionary development of an already successful helicopter-based AEW aircraft which does have some advantages over Advanced Hawkeye. These include its versatility, not being confined to the carrier is a serious advantage when considered in the context of maritime security operations where they could be operated from escorts, amphibious ships or fleet auxiliaries. The "bolt on/bolt off" nature of the radar system also means that the helicopter can be repurposed for the anti-submarine role if necessary. It is also essential to remember that Crowsnest is not the only AEW aircraft available to the UK. The RAF own and operate the formidable high-flying E-3 Sentry, with its service ceiling of 41,000ft, based on the Boeing 707 commercial airliner. Its long range, coupled with a handful of key overseas bases owned by the UK means that in practically all the areas where a peer or near-peer conflict involving a UK carrier might occur, long range land-based AEW would very likely be available. In those circumstances Crowsnest would perform valuable local coverage as well as command and control for the carrier group, as well as surface search (a function that the E-3's massive AN/APY-2 PESA radar is poorly suited for). It must be borne in mind that the US Navy's requires its carriers to be able to operate totally without the need for land based support largely because their Pacific role and massive budget pressures and allows them to do so. Neither of these factors are relevant for the UK. So there you have it. 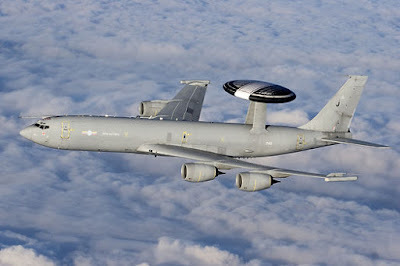 Why the best of the best is rightly held up as the gold standard for carrier-borne AEW and why it is unsuitable for the UK, which will still have a highly effective AEW solution in the form of Crowsnest and E-3 Sentry. This once again highlights an important point about the dangers of playing "top trumps" when talking about military equipment. No single piece of equipment exists in a vacuum and the whole needs to be greater than the sum of its parts. It's no use having an exquisite AEW solution if by having it you compromise other, equally important, areas of spending. Quite often the old mantra "better is the mortal enemy of good enough" holds true when it comes to these decisions. Pushing the envelope out too far would very likely lead to a compromised capability, some shiny equipment but in tiny quantities and without the requisite behind the scenes support to actually get real value out of it. For now though it's clear from where I stand. Hawkeye is better, but Crowsnest (and Sentry) are good enough. Hi. Interested Australian observer here. I confess, I don’t quite understand why you would put up this comparison. You won’t end up with “cats and traps” on your carrier, so your on board AEW is Crows Nest, and that’s it. As you mentioned, of course, there are also land-based AEW options, including Hawkeye. But really, once you go there, Hawkeye is what it is: short range, limited (un-refuelled) endurance and probably too few crew in other land-based scenarios. Other aircraft like the E-3D then come to the fore, but even some of the business jets you mentioned (on Twitter) become competitive, along with E-7 Wedgetail and the Swedish options. The only concern I would have here is that I think it would be unrealistic to expect you could pull off some sort of development program to gain this capability. It would be a rerun of the thinking behind the P-8: too few aircraft to justify a uniquely British solution. So thoughts of packing the E-2D into a business jet seem unlikely. I really only see an upgrade of the E-3D, or for the same money or less, an off-the-shelf purchase of similar capability, perhaps in a much more modest platform. (This is one area where I suspect British ambitions might have to retract to fit the budget or risk another “capability holiday”). Just my two cents. Cheers! The point was to highlight that fitting the catapults and arrestor gear to the carrier was only ever going to be stage one of a very very long and expensive programme if we wanted E-2. The article explores what goes on behind the headlines which make some decisions impractical, no matter how superficially attractive they are.